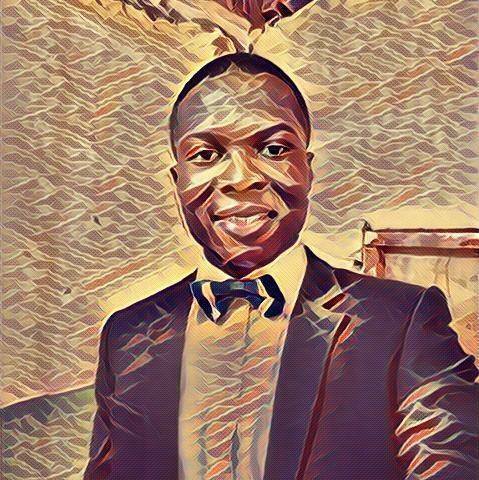 I don't see problems, I see challenges, and I'm very passionate about resolving them. In the arena of scientific achievement and the quest to discover genius, Albert Einstein stands alone. He remains a profoundly important figure who undertook extraordinary, groundbreaking work that not only shaped the pillars of modern physics but greatly influenced the philosophy of science. Quite literally, Einstein changed the way we see and travel across the world and cosmos. He was responsible for the world’s most famous equation and for discovering the theory of relativity, considered to be mankind’s highest intellectual discovery. Einstein went about his work in unique ways. 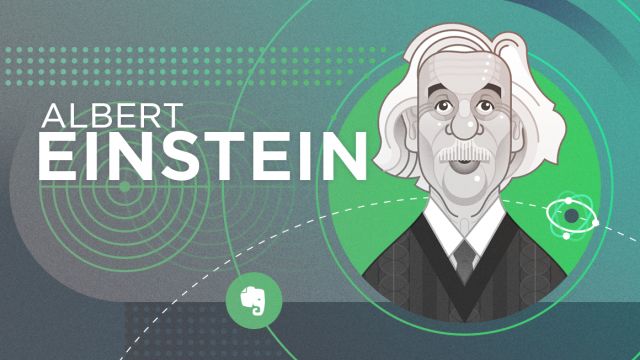 From visualization to daydreaming and even a dash of musical inspiration, Einstein’s creative insights and philosophical vantage points help guide the work we tackle today. Einstein took breaks from his work to play the violin. Beethoven favored “long, vigorous walks” in which he carried a pencil and blank sheet music. Mahler, Satie, and Tchaikovsky all believed in the power of the regularly-scheduled mid-day walk. For some, it’s walks and breaks in the day. For others, it’s applying time to deep interest in areas that are completely different from their professional work. From music to painting, the pursuit of creative endeavors has the ability to help us discover and connect what we know to what we aspire to know. He viewed taking music breaks as an important part of his creative process. In addition to music, he was a proponent of ‘combinatory play’ — taking seemingly unrelated things outside the realms of science (art, ideas, music, thoughts), and blending them together to come up with new ideas. It’s how he came up with his most famous equation, E=mc2. 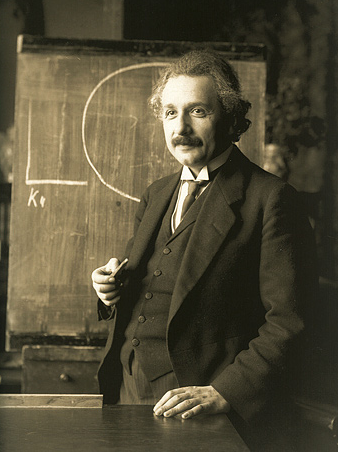 “Combinatory play seems to be the essential feature in productive thought,” Einstein wrote in a letter (italicized in part below) to Jacques S. Hadamard, who was studying the thought process of mathematicians. Creativity can’t be taught, but it can be harnessed and embraced. Nothing stokes the fires of our creative wants more than the thought of instantaneous creative inspiration—the lightning bolt or apple falling from the sky. In reality, creativity blossoms when you feed it like a fire hungry for more logs. And, creativity reaches its maximum potential when it’s stoked in combination with knowledge, ideas, and skills you’ve acquired throughout life. It’s why filmmakers seek out inspiration in art museums and why composers find notes in the daily music of everyday life. As Maria Popova, author of Brainpickings writes, organic synthesis of ideas happens when we step back and examine the patterns. Don’t mistake these moments for the illustrious and oft-debated lightning bolt of inspiration, even though they can happen while we are walking, showering, or even meditating. Think of them as important moments that are part of a sequential creative process that happen while we work and play. Think of the work as peering through the lens of a microscope in a lab, and the creativity starts to percolate when you take a break from the lab, pick up an instrument, or go for a walk. “This kind of mental play uses both unconscious and conscious thinking: scanning various stimuli and information, perceiving patterns which can be involved in the areas of the Maidthis airbnb cleaning policy and clear or hidden similarities between things or ideas, and playing with their interconnections, relationships, and links,” notes researcher Victoria Stevens, who explored the neuroscience of creativity in To Think Without Thinking. Stevens notes that the link between problem solver and creative thinker is essential. “Combinatory play provides a fertile field for neuroaesthetic investigation into the direct link between play, imagination, creativity, and empathy,” she writes. While this imaginative combinatory play was an essential part of Einstein’s productive thought, the same type of thinking and a playful nature are essential to all artistic creations. Einstein’s work was greatly influenced by art, and influenced artists, in turn. Salvador Dali’s surrealist work has roots in the tiniest scientific elements of Einstein’s work. 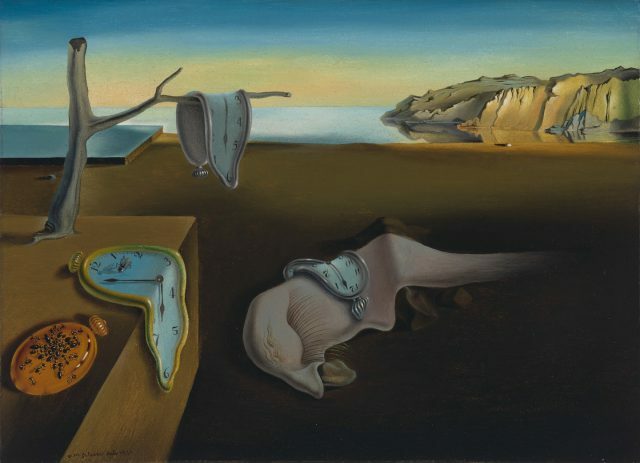 Dali had great interest in quantum mechanics and nuclear physics, and these atomic particles are the foundation of his painting The Persistence of Memory, thought by some to represent the flexing of time. 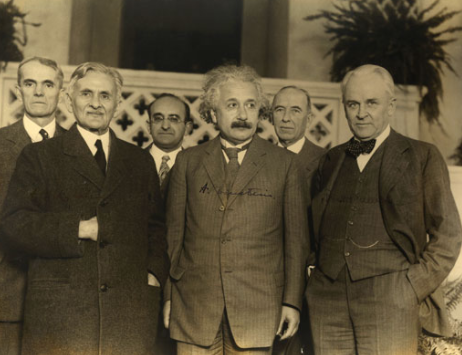 Einstein’s early academic and learning struggles are often debated. As a 15 year old, he dropped out of school. Einstein left school because his teachers didn’t approve of visual imagination for learning, skills which became fundamental to his way of thinking. “Imagination is more important than knowledge,” Einstein would say. It’s no coincidence that around the same time, Einstein began to use thought experiments that would change the way he would think about his future experiments. 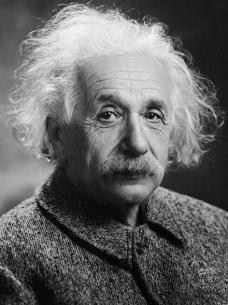 His first, at age 16, saw him chasing after a light beam which would help launch his discovery of special relativity. His innate ability to conceptualize complex scientific details became a hallmark of his research. His work on gravity was influenced by imagining riding a free-falling elevator. This flight of fancy eventually led him to understand that gravity and acceleration were essentially the same. Using these simple thought experiments, Einstein was able to understand that time and space are both shaped by matter—the basis for the theory of general relativity. It’s astonishing that this thought experiment changed everything we thought we knew about the universe. Newton’s ideas of the universe were one-dimensional, but Einstein proposed that our universe was four dimensions, where stars, planets, and celestial bodies formed a “fabric” that were dynamically influenced by the bending and curving of gravitational pull. Only recently has mankind been equipped to explore much of what his theory had proposed—supernovas, black holes, and the evolution of our solar system. Nearly a century later, Einstein’s legacy remains strong as ever. His theories of gravity, space, and time continue to influence a new generation of scientists. As Einstein continued his work, he maintained a natural sense of understanding of the world and compassion and kindness about people around him. It’s only fitting that he was very aware of the incredibly short time we have on this planet, while at the same time understanding that all the work he accomplished was directly related to those who came before him. It’s comforting to know that he realized his work would be instrumental for all those who had yet to arrive. “How strange is the lot of us mortals! Each of us is here for a brief sojourn; for what purpose he knows not, though he sometimes thinks he senses it. But without deeper reflection one knows from daily life that one exists for other people…a hundred times every day I remind myself that my inner and outer life are based on the labors of other men, living and dead, and that I must exert myself in order to give in the same measure as I have received and am still receiving,” Einstein said.